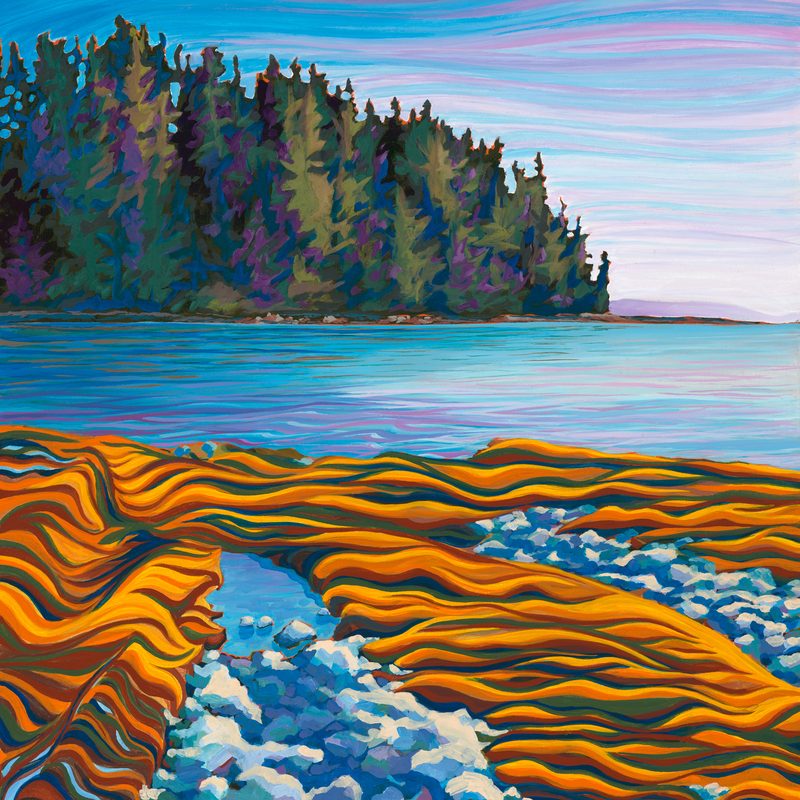 I have donated my painting, Warm Rocks at Sombrio, for a charity auction at the Culinary Phantom Dinner, taking place at the Oak Bay Beach Hotel on September 15 to benefit Citizens Counselling Centre. On their website, Citizens describes itself as a place that “offers affordable, accessible counselling to adult residents of Greater Victoria.” I’ve known a few people who have volunteered there, and I’m a believer in what the Centre contributes to our community. As I post about this, the event has sold out, but I’m pleased for this opportunity to support the centre and promote their work in our community.